This full-day tour combines some of the best things the islands have to offer. You'll enjoy the water, beaches, sports, sea life, views and, if you'd like, the booze. 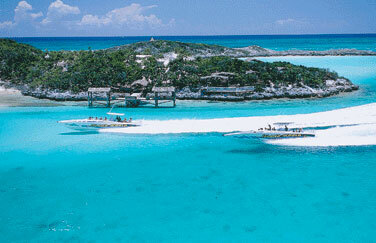 The tour takes guests to Saddleback Cay in the Exumas for a day of sunning, swimming and snorkeling. Lunch is served on the island. Guided eco-tours take visitors through the island marshes. Everyone leaves in the afternoon and tours the rest of the Exumas, with a brief stop on Leaf Cay to visit the giant iguanas. The boat cruises back to Nassau just in time for sunset. If you have a need for speed and a taste for adventure, we have an experience for you! If you have a need for speed and a taste for adventure, we have an experience for you! 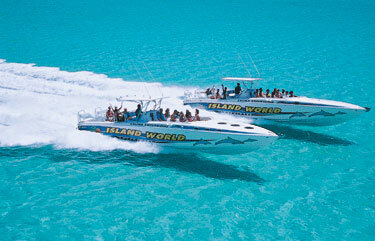 Begin your adventure aboard our twin, state-of-the-art, high-speed boats. 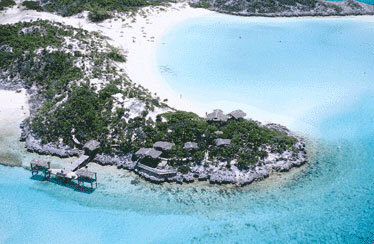 Glide over crystal clear waters to an island paradise unlike any other. 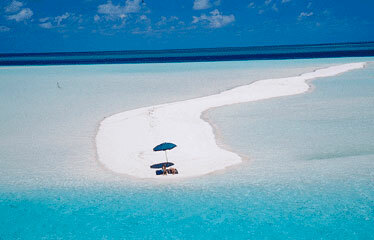 Encounter gentle stingrays, groupers, feed the sharks, barracudas, and an array of fish. Enjoy a sumptuous meal and open bar. 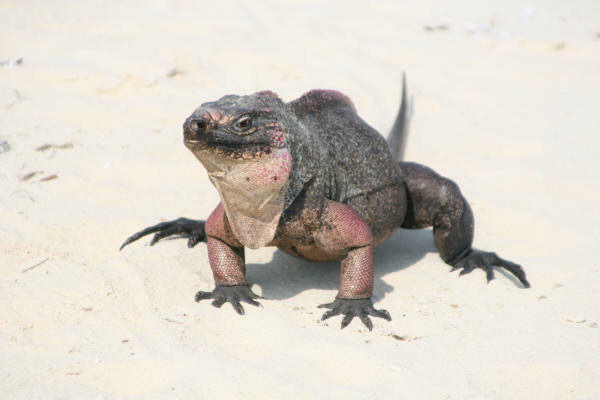 Visit Leaf Cay, home of friendly iguanas before you head off into the sunset. Please take your swimsuit, towel, sun protection and something warm for the return trip, as it can get cool late in the afternoon on the ocean. Cameras, film, sunscreen, hats, t-shirts, sweatshirts, pareos and CD-ROM's of your adventure are available for purchase on the island. If you wish to purchase a video film of your trip, please take cash or credit card for payment, and order this on the day of your trip. A 100% cancellation penalty is applied if cancelled within 48 hours prior to trip or for no shows. 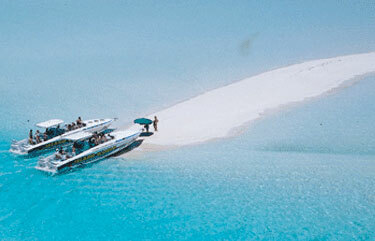 Special cancellation penalties and conditions apply to groups and private charters. Schedules are subject to change. Exact times will be reconfirmed at time of booking. Reservations are recommended as space is limited. Trip is weather permitting. Because of the unpredictability of weather conditions, this trip is not recommended for children under 3, people with acute health problems or women who are pregnant.